Bounty Hunter Rancor Maleficent: Western Adventure (Gunslinger Series Book 1) - Kindle edition by Ash Lingam. Literature & Fiction Kindle eBooks @ Amazon.com. (Book 1 of 4 Books of the Gunslinger Series”) Bounty Hunters were a part of the historical Old West. A profession that has been written about and depicted in novels and movies for decades. 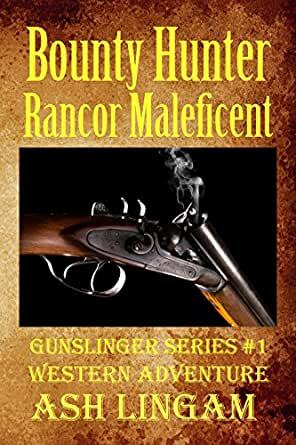 Ash Lingam’s “Bounty Hunter Rancor Maleficent” is the first book in the Gunslinger Series, written in a style influenced by Sergio Leone and the spaghetti western films of the period. Rancor Maleficent is one of these men. Trading dollars for bodies as he hunts outlaws down for their reward. Assisted by Roberto, the duo of man-hunters travel the California Territories in the late 1800’s, taking the law into their own hands. Hunting down men of reckless blood for a living. Rancor, already a legend due to his violent nature, with his humor afflicted accomplice, Roberto Rodriguez, in their quest to trade flesh for cash. Like most bounty hunters, looking for an easy way to make a living even if it involves risking their lives in exchange. Or perhaps it is the very nature of the profession that attracts recklessly bold men. The two men are on the hunt for three ex-sheriffs, a four-fingered outlaw and an ex-Texas Ranger. Men who had strayed across the fine gray line between the law and the outlaw. Action, humor, and a good dose of lead makes this new series one of Lingams best. 5.0 out of 5 starsLooking forward to reading more westerns by this writer...excellent! This book was outstanding. The characters were just what you would expect from the old west & a more fearless couple of bounty hunters you would be hard pressed to find. The story moves along quickly with lots of action from the first to last pages. The only reason I was hesitant to give it five stars was because of the use of the "f" bomb. Hey writers...you can write an excellent story without this & I think there are many out there that would appreciate less use of this word in their books. This is my opinion only! I wasn't sure when I bought this book if it would be several stories combined because of the description. It is one story & even though there are other bounty hunters involved it still centers around the two bounty hunters, Rancor Maleficent & Roberto Rodriquez. I would recommend to any lover of a good old western. Looking forward to hopefully another in this series. Since this was so good I'm starting another book by this writer. With his unique understanding of the Wild West in the 1800s, I think Ash Lingam was a Texas Ranger in another life. Or could he have been a bounty hunter? He surely gets his inspiration from somewhere other than history books. Own up Ash! Bounty Hunter Rancor Malificent. What a wonderful play on words to portray a pursuer every bit as violent as those he hunts down for payment from the Law. And Dog. Like his owner, a large hairy beast, crossed with a Wolf. Come to think of it Rancor could have been as well. Mean enough. Together with his sidekick Roberto Rodriguez, who survived a bullet to the brain, whose determination and sense of humor saw him overcome impossible odds. 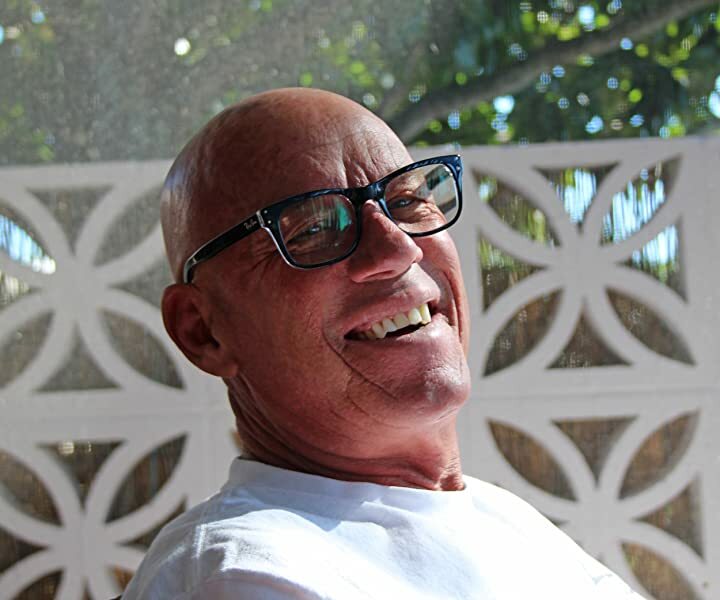 These colorful characters lift this story from a mundane story of the bounty hunters of Old, to a highly entertaining tale that rockets along holding the reader in its grip until the very end. Choosing a vicarious and dangerous trade, they track down men with a price of their head. After a successful chase, indulging in drinking and getting laid, often with the same whores as their prey. As was the wont of those riding the Wild West trails in any capacity. Ranking alongside the Texas Rangers for violence, Ash has no truck with the romanticized lies portrayed in dime novels about these bounty hunters. As he puts it. “It takes a bad man to kill a wicked man. Most all the men who make a living with a gun are evil men, and there are very few exceptions.” So don’t expect some rugged hero, upholding the law and saving the unfortunate whore trapped in her situation. Nope. It’s a good slug to the guts and go along with the ride. You won’t regret it I can assure you. I read this between "serious" books for a break. It was....well, let's say "interesting". My advice is to pretend Sam Elliott is reading it to you as narration for an old black & white western. Sentence structure, punctuation and any sense of verb tense are all totally missing. All I can say is, it's fun. As the name implies, Rancor Maleficent is no fairy godmother, but there were not too many of them around in the American west. Bounty hunters may not make nice guys, but they can keep you entertained, especially Rancor and his sidekick, Roberto Roriguez, who have a humorous line of patter that keeps up throughout all the whoring, killing and whiskey drinking that makes up their lifestyle. Keep it up, Lingham. You've got a good thing going with this Bounty Hunter series. I want more. The three seem to really enjoy their somewhat macabre line of work. The style and flow of the tale allows us to enjoy it too. A story of truly badass men doing a truly bad business but making the mist out of what they are good at.